Thinking of selling your Houston home in 2016? There are several factors that may influence our market during the upcoming year. Here are real estate projections from the Wells Fargo Securities Economics Group and from Money magazine, along with our own insights! 1. The recent uptick in the Federal Reserve benchmark rate means higher mortgage rates in 2016. However, the impact should be modest, with the average interest rate on a 30-year fixed mortgage hovering between 3.95% and 4.5%. This will not be a show-stopper, but rising mortgage rates could prompt more buyers to enter the market. 2. The Case-Shiller National Home Price Index is nearing pre-recession highs, enabling many homeowners around the country to build equity and conduct profitable home sales. Despite this, home inventories remain lean in many markets, especially those with strong local economies. 3. Strengthening employment and improving wages are encouraging more Millennial home buyers to enter the market. Here in Houston, we have a variety of local market dynamics at work. The decline in the oil market is concerning to residents of the Houston Energy Corridor, but home prices have remained resilient through 2015. In recent weeks, we have seen a gradual slowdown in home sales, and an increase in Houston home inventory. While economic concerns are valid considerations, we must also point out that a seasonal slowdown is typical for this time of year. Additionally, changes to real estate settlement procedures, which became effective in October 2015, are causing intermittent closing delays. Some home sales that should have closed in November, may not be reflected in statistical data until December. As we head into 2016, home demand is expected to remain stable. Texas as a whole continues to attract new residents, and Houston, as a global city with a modern, diversified economy, is a popular destination for Millennials. According to data from City Observatory, young adults are attracted to the career and entrepreneurial opportunities offered in Houston. Higher education is also strengthening economic opportunities in Houston. From 2000 to 2012, Houston saw a 49% increase in college graduates aged 25 to 34. To succeed in 2016, Houston home sellers should price their home properly from the start, taking home condition and local sales trends into consideration. While market conditions cannot be controlled, ensuring that your home is in the best possible condition, interior and exterior, will help you attract motivated buyers. Obtaining the expert advice of the KW Energy Corridor Team is the first step in a successful home sale! We will be happy to provide you with custom strategies for top-dollar offers! 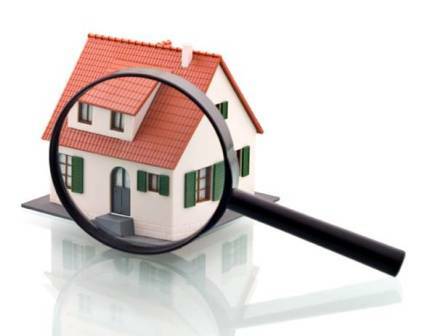 Contact us today for your home value consultation!